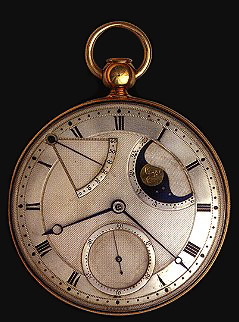 The beginnings of the manufacture of portable watches is still accompanied my myths and speculations. The first examples known are made in southern Germany, but some parts used in their construction can already be found in drawings from the 13th or 14th century in Italy. 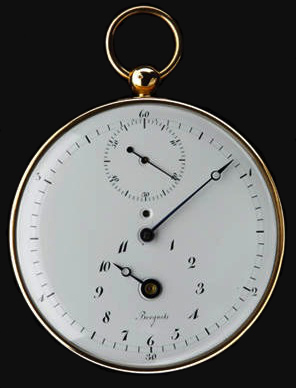 Fundamentals in horology have been developed during the 17th century, mostly in England, pathing the way to more pertinent inventions one century later. 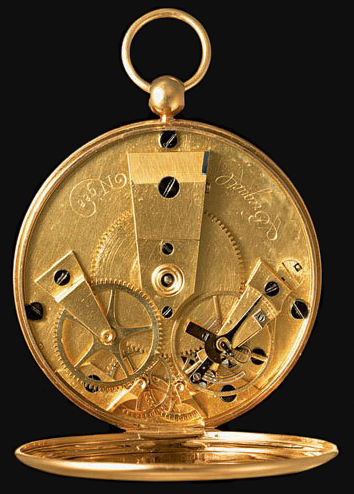 Especially the watchmaker Thomas Tompion showed much creativity in perfectioning his own developments and small inventions made by conteporary watchmakers. Many French watchmakers fled to England during the prosecution of Protestants and settled mostly in London. The exchange of knowledge between England and France continued until the end of the 18th century with the collaboration of John Arnold and Abraham – Louis Breguet. The largest section is consacrated to the manufacturers of the 18th century. 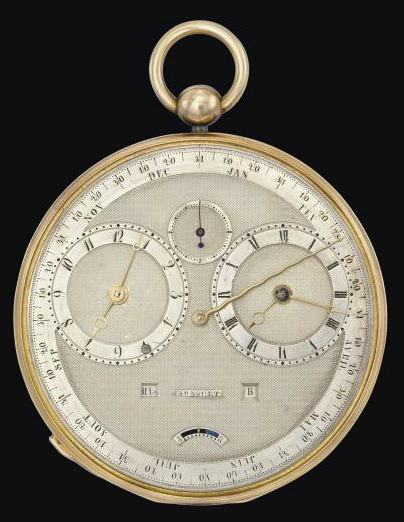 While English watchmakers perfectioned existing systems developing the most precise timekeepers such as Marine Chronometers, the French craftsmen were slowly about to revolutionize portable timekeeping. 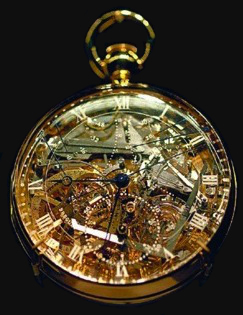 Towards the end of the century very important mechanical improvements in England and especially in France combined with the innovative spirits of two specific French watchmakers, Jean – Antoine Lépine and Abraham – Louis Breguet prepared the path for the development of the modern mechanical watch. These two watchmakers and some of their important developments are discussed in more detail. Most basic features and complications such as the automatic winding system, the shock protection for the balance and the ‘Tourbillon’, found in watches today, have their roots in inventions of 18th century watchmakers. During the 19th century all steps of watch production got more and more automatized. Machines were exported to the United States where watchmaking flourished. Swiss watchmakers got away from making raw movements and copies of well known French and English watchmakers and developed their own watch industry, making rather cheap but reliable watches. Especially the orders from the countries involved in the two World Wars made the Swiss watchmaking industry reaching the highest level of recognition for their resistant, cheap and reliable timepieces.